What does a bully look like? Is he the big, brawny kid on the playground who is pushing his weight around and picking on younger kids? Is it the child who has problems at home who is taking out her frustrations by teasing and targeting vulnerable kids who may not be part of the popular crowd? Fact is, it's not always easy to spot who could be a bully. More importantly—and this is a crucial point for parents to realize—anyone can act like a bully in certain scenarios, even their own child. While there are lots of resources and information for parents and kids who have been the victims of bullying, what often does not get addressed is how parents can handle situations in which their own child has been bullying someone. Whether it's sending someone mean messages via text, email, or through a social networking site or teasing or insulting or even physically assaulting another child in person, bullying can potentially be perpetrated by almost any child, given the right circumstances and opportunity. Here's what you can do if you discover that your child has been acting like a bully. What led to your child's behavior? Was she responding to someone acting like a bully toward her? Was her behavior prompted by a group dynamic (in which, say, her friends were goading each other into targeting another child)? Talk to your child, other parents, and anyone else who might be able to shed some light on what happened and gather information about the situation before you act. These days, bullying is a subject that is frequently discussed. But don’t assume that your child knows what behavior constitutes bullying or understands the consequences of such behavior. First, get a clear understanding of what bullying is for yourself and then have a discussion with your child about the facts about bullying. One of the best ways to help prevent bullying behavior in a child is by nurturing empathy and emotional intelligence. A child who can put himself in someone else’s shoes and understand what it might feel like to be excluded, teased, or hurt physically and/or emotionally is less likely to engage in aggressive or hurtful behavior. 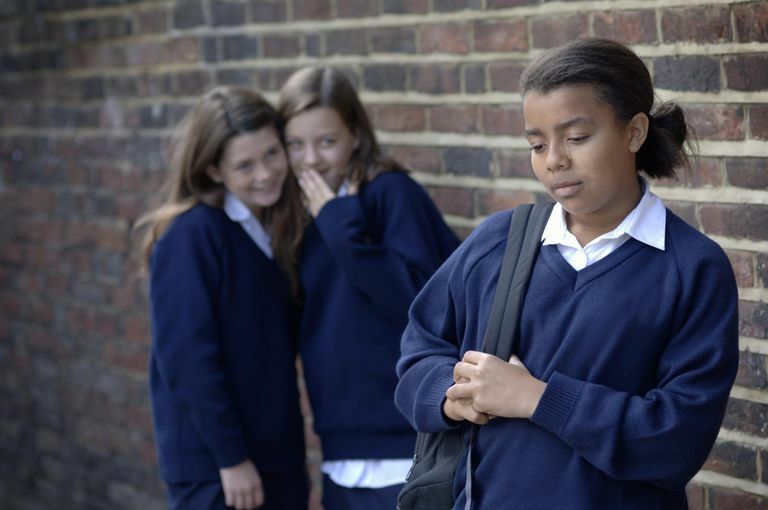 She may have acted like a bully because she felt pressure to go along with her friends or because she wanted to feel popular. Or she may have felt justified in her actions because the target of her bullying was someone who was bullying other kids. Whatever her reasons, it's important for a child to understand that bullying inflicts hurt upon others, and that she needs to own up to her behavior and make amends as much as possible. If she tries to justify or defend her actions, make it clear that bullying—no matter what the reason—is wrong, plain and simple. Ask her to make up for her behavior by stating clearly what she did and why it was wrong and, if possible, apologizing to the victim. Were her actions the result of being bullied herself? Simply telling your child to ignore a bully is probably not going to be helpful. Instead, help her find more constructive ways to handle the bully such as alerting you or a teacher when she sees or experiences bullying behavior. Consider how your actions may be teaching your child how to behave. Do you treat others with respect, even when you disagree with them? Has your child seen you retaliate against others when you feel you have been wronged? Have you engaged in gossip or malicious behavior toward others when you feel your actions are justified? How you treat others sets the groundwork for how your child will behave in social situations. If you try your best to be compassionate and understanding and refrain from engaging in hurtful behavior, your child will be more likely to steer clear of bullying and treat others with kindness and respect. If you feel that your child is having problems managing his anger or aggression toward others, consult with your child's school counselors or other pediatric mental health experts. They can be helpful in suggesting ways you can help your child choose more positive and kind ways to interact with others, no matter what the situation.